Chisapani Nagarkot is the north-eastern side of Kathmandu. Chisapani means “cold water” the sport is famous for the mountain panoramic view includes Annapurna to Langtang range and starting and ending overnight sport of Helambu trekking. 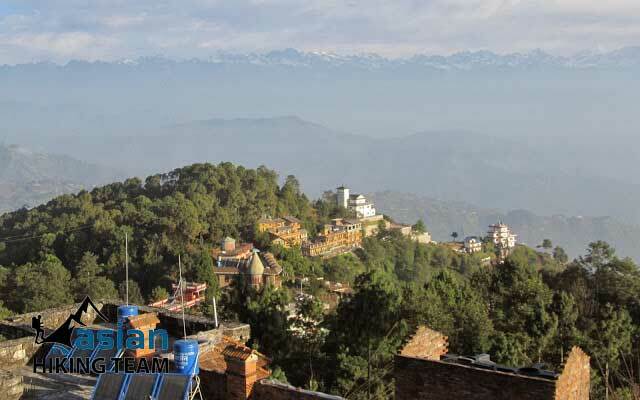 Nagarkot is a famous place to see the mountain ranges and sunrise. It lies at an altitude of 2175 meters located 32 km north east of Kathmandu. Explore the great views of the Himalayas including Annapurna, Manaslu, Ganesh Himal, Langtang, Dorje Lakpa and Gauri Shanker and Everest ranges. The view from Nagarkot is like mountain flight. Once the sun begins to rise from behind the Himalayas, it looks spectacular as mountain changes its color. However, to see the sunrise, walk up you 5 o'clock in the morning. Nagarkot hiking Tour is easy, short hiking inside forest, Nepalese inhabitants and the hidden valley. Driving you head of Thamel 45 minutes to Sundarijal, following water pipe inside Sivapuri National Park to reach Chisapani 4/5 hour hike. The second day is long day 6/7 hours hiking to catch Nagarkot with enjoyable route. One the last day bring you walk down to Chagunarayan Temple (the old Bosnia temple) 3 hours then drive back to Kathmandu 1.30 hours. Nagarkot hiking can be done in winter or summer time with children or senior citizens. There is a proper hotel / resort for accommodation and foods. Highlight of trip: Short and easy hiking, nearby kathmandu, Sunrise and sunset view, hidden valley view, Green mountain, Shivapurinational Park, Panoramic view of Annapurna to Mt. Everest ranges. 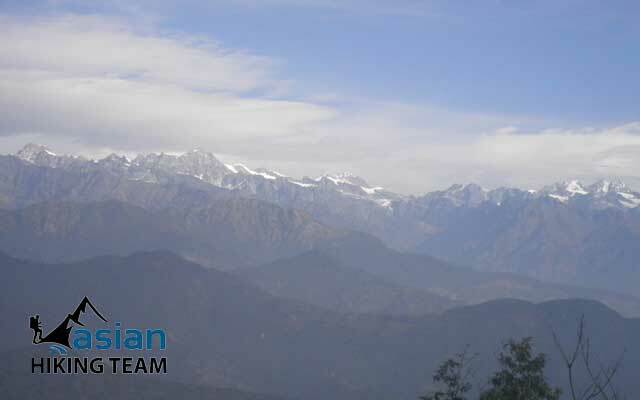 Day 01: Drive Sundarijal, hike to Chisapani 2150m 4/5 hours, Overnight Hotel. Day 02: Hiking to Nagarkot 2175m, 6/7 hours, overnight hotel. Day 03: Hiking to Chagunarayan 1450m, 3 hours and drive to Bhaktapur durbar Square and continues drives Kathmandu transfer to hotel. Your Hotel to Sundarijal by Private Car/ Van. Chagunarayan to your hotel by Private Car/Van. Major Meals; Breakfast, Lunch and Dinner by Hotel menu. 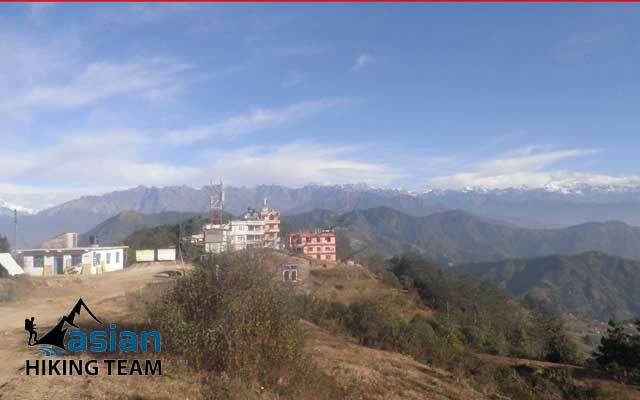 Two Nights Hotel in Chisapani and Nagarkot - 2-3 star hotel. Shivapuri Nagarjun National Park permits, fees. Professional equipped English speaking hiking Guide. Hiking insurance for all support crews and their daily wages, accomodation. Hiking Equipment for support Crews. Day 01: Drive Sundarijal hike to Chisapani 2150m, 4/5 hours, overnight hotel. Asian Hiking Team staff pick up from your hotel transfer to Sundarijal approximately 45 minuets drive by car. Now we start our hiking tour, first few hours we climb steeply up following the huge water pipe. On the way can see the water falls, passing through the Shivapuri National park so can meet wild animals. We have short break for lunch in Mulkharka and continues walk to Chisapani 2150m, 4/5 hours, overnight in hotel. Day 02: Hiking to Nagarkot 2175m, 6/7 hours, Overnight in Hotel. After sunrise breakfast with the range of Himalaya then we start our hiking tour to Nagarkot. 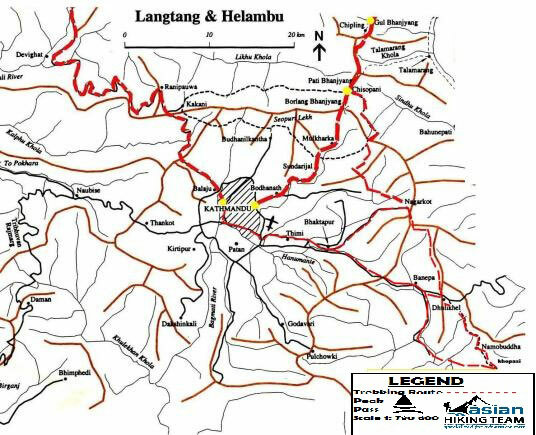 We follow the construction road, until jhule than cross Pati Bhanjang and catch next construction road continues to Nagarkot 2175m, 6/7 hours hiking, overnight Hotel. Day 03: Hiking to Chagunarayan, 3 hours and drive to Bhaktapur durbar Square and transfer to hotel in Kathmandu. Walk up very early for sunrise view, now we can explore Annapurna Himalaya ranges to Mt Everest Himalaya ranges. In Nagarkot is not only snow mountain, there is green, brown mountain and hidden valley too. After breakfast we start to our hiking tour to Chagunarayan Temple, 3 hours and sightseeing in Bhaktapur city. At evening drive to Kathmandu 1 hour, transfer to hotel end your trip today. 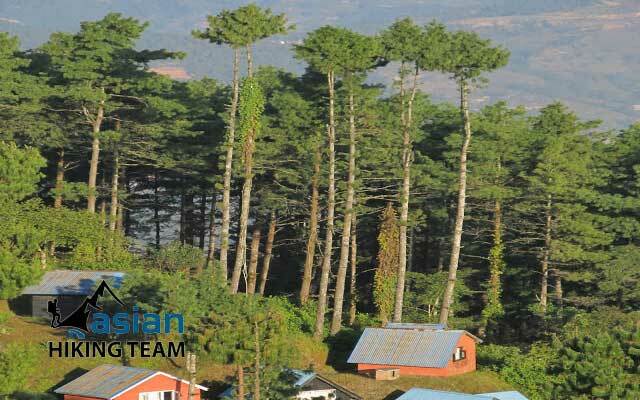 We operate 2 nights 3 days Nagarkot trip Every week. Booking are 100 % garentee.